At 62.3kg ramp weight it is the lightest 4-cylinder 4-stroke aircraft engine of this output manufactured in the world. It can be installed in an aircraft at the same weight as most popular 2-stroke engines. Overall dimensions are extremely small. It's 596mm (23.46") width allows tractor applications with very small frontal areas. The Jabiru engine is designed for either tractor or pusher installation. 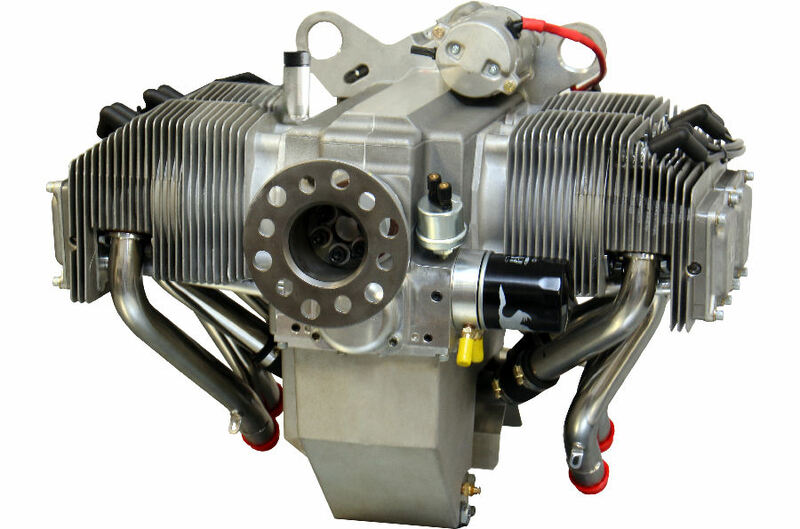 It is an ideal replacement for the Rotax 582 2-cylinder 2-stroke engine which powers many of the existing light aircraft. Surprisingly it is the same weight as the Rotax 582. It is also a lightweight, smaller-package alternative to all of the VW derivative engines and the Rotax 912. It is an engine designed by aircraft designers for aircraft applications!